Every now and again, I’m asked by other lovely authors or (as in this case) contacted by their hardworking promoters from their particular press company in order to showcase a new title on my little blog here. So today’s post will be a step out of my usual rambling routine in order to give you guys a look at Tara Maya thanks to Katie Earley at Misque Press. Need any more reason to read this series? Well, Tara has nicely provided us with a short excerpt for you guys to peruse. I hope you enjoy it! 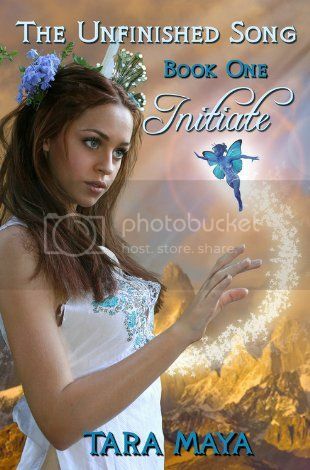 And don’t forget Initiate is free everywhere except at Barnes and Noble (where it’s $0.99). You can download a free .epub version via Smashwords. Previous Previous post: Breaking Cadence – eBook Release!